Electrical Engineering is the science of generation, distribution, utilization, and return of electrical energy. Electrical failure analysis is the study of events in which the electrical energy causes unwanted outcomes in the electrical energy system. Talbott Associates is particularly qualified to conduct root cause studies into the electrical failures. Our range of expertise allows us to bring a wide breadth of knowledge to electrical failure analysis. We have experience in the research and development of electrical products, safety evaluation of electrical products, and field failure analysis of electrical products. 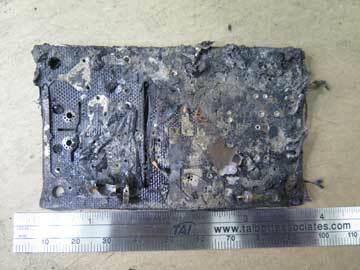 Often times when an electrical failure occurs, heat is generated in an uncontrolled manner. The heat generated may warm surrounding combustibles to the point of ignition and fire may result. 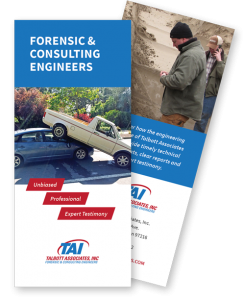 Talbott Associates has conducted over 1000 engineering studies into the root cause of electrically caused fires. Electrical potential (voltage) can cause electric current to flow through the human body and cause physiological effects. Electrical shock/electrocution analysis concentrates on establishing the path of electric current: electrical sources, insulation breakdown, path through body and return path to source. Generally, in the electrical engineering industry electric shock is categorized as an event of electric current flow through the body that does not result in a fatality. Electrocution is categorized as an event of electric current flow through the body that does result in a fatality.